Libya's interim leader said Saturday he had given battlefield commanders the authority to attack towns loyal to Moamer Kadhafi, after a deadline passed for the strongman's supporters to lay down arms. 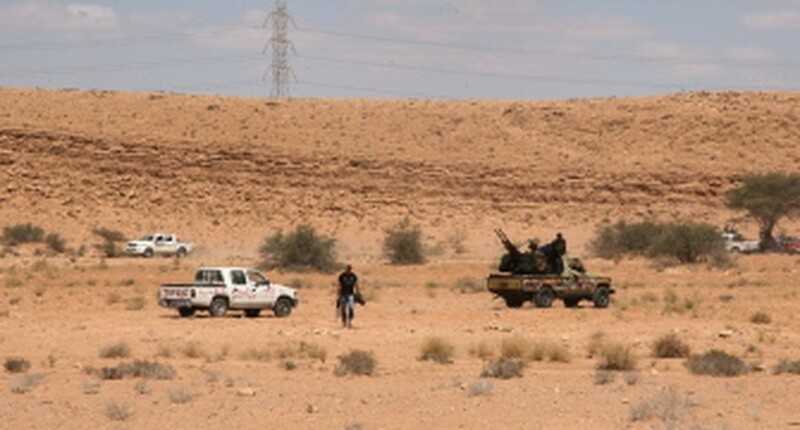 After a series of spluttering, inconclusive talks to try to prevent fighting in towns still loyal to Kadhafi, Mustafa Abdel Jalil said the path was now open for military action. "Last night the deadline passed," he told a packed gathering of around 300 local leaders in the long-besieged town of Misrata. "We have extended it more than once, trying to clear the way for a peaceful resolution." "Now the situation is in the hands of our revolutionary fighters," he said, effectively giving commanders authority to attack Bani Walid, Sirte, Sabha and other pro-Kadhafi enclaves. "We have spoken to them through their leaders and have left it to them to make the decision whenever they chose," he said. In Tripoli, Omar al-Hariri, who oversees military affairs in the National Transitional Council, told AFP the "rebels are the ones who are in charge of the process of liberation."